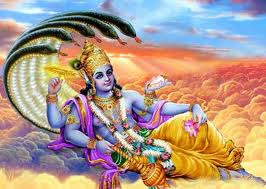 Pasankusa Ekadashi is Coming on 25 October 2012.According to Guarati Month Ashwin Sukla Paksh Agyaras(Day of Eleven). 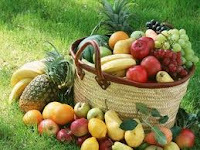 Pasankusa Ekadashi is Coming on 25 October 2012 and Ashwin month's Eleven'th Day.The significance of this Ekadasi is mentioned in the Brahmavaivarta Purana and was narrated to Yudhishtira by Lord Krishna. 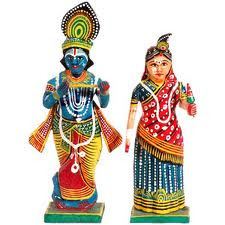 It is believed that observing Pasankusa Ekadasi will help in realizing one’s dreams. It is also said that observing Pashankusha fasting is equal to making numerous offerings. On Pasankusa Ekadasi, Lord Vishnu is worshipped in the form of Ananta Padmanabha – reclining on Snake Ananta in the milky ocean. 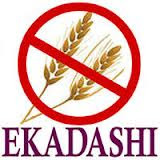 All the usual rules associated with Ekadasi fasting is observed on the day. Those observing partial fast avoid grains and rice. Some Vishnu devotees do not sleep during night and read stories of Lord Vishnu. Yudhishthira maharaj said, Oh MadhusUdana, what is the name of the Ekadasii that comes during the light fortnight of the month of Ashvina (September - October)? Please be merciful and disclose this truth to me." The Supreme Personality of Godhead Sri Krishna replied, "Oh king, please listen as I explain the glories of this Ekadasii - Papankusha Ekadasii - which removes all sins. On this day one should worship the Deity of Padmanabha, the lotus naveled Lord Vishnu, according to the rules of archana viddhi (regulations). By so doing, one achieves whatever heavenly pleasures one may want in this world, and at last attains liberation from this world thereafter. Simply by offering one's humbly obeisances unto Lord Vishnu, the rider of Garuda, one can achieve the same merit as is gained by performing great penances for a long time restraining and controlling the senses. Although a person might have committed unlimited and abominable sins, he can still escape hellish punishment just by paying his obeisances to Lord Sri Hari, the taker away of all sin." "The merits gained by going on pilgrimage to the Holy Tirthas of this earthly planet can also be achieved simply by chanting the Holy names of Lord Vishnu. Whosoever chants these sacred names - such as RAma, Vishnu, Janardana or Krishna - especially on Ekadasii, never sees Yamaraj, the king of death's punishing abode. Nor does such a devotee who fasts on PApankusha EkAdasii, which is very dear to Me, see that plutonic abode." "Both the Vaishnava who criticises Lord Shiva and the Shaivite (Saivite) who criticises Me certainly go to hell. The merit obtained by performing one hundred horse sacrifices and one hundred Rajasurya sacrifices is not even equal to one sixteenth of the merit a devotee is able to attain by fasting on Ekadasii. There is no higher merit one can achieve than that attained by fasting on Ekadasii. Indeed, nothing in all the three worlds is as pleasing or as able to purify one of accumulated sin as Ekadasii, the day of the lotus-naveled Lord, Padmanabha. "O king, until a person observes a fast on the day of Lord Padmanabha named Papankusha Ekadasii, he remains sinful, and the reactions of his past sinful activities never leave him like a chaste wife. There is no merit in all the three worlds that can match the merit that one gains by observing a fast on this Ekadasii. Whosoever observes it faithfully never has to see death personified, Lord Yamaraj. One who desires liberation, elevation to the heavens, good health, beautiful women, wealth, and food grains should simply fast on this PashunkushA Ekadasii. O king, neither the Ganges, Gaya, Kashi, nor Pushkara, nor even the Holy site of Kurukshetra, can grant as much auspicious merit as this Papankusha Ekadasii. "O Maharaj Yudhishthira, protector of the earth, after observing ekadasi during the daytime, the devotee should remain awake through the night, absorbed in hearing, chanting and serving the lord - for by so doing he easily attains to the Supreme abode of Lord Vishnu. Not only that, but ten generations of ancestors on his mother's side, ten generations on his father's side, and ten generations on his wife's side are all liberated by a single observance of a fast on this EkAdasii. All these ancestors attain their original, four armed transcendental Vaikuntha forms. Wearing yellow garments and beautiful garlands, they ride to the spiritual realm on the back of GaruDa, the renown great enemy of the snakes. This is the benediction My devotee earns simply by observing one PapAnkusha Ekadasii properly. "O best of kings, whether one is a child, a youth, or in old age, fasting on Papankusha Ekadasii frees him from all sins and makes him immune to suffering a hellish rebirth. Whosoever observes a fast on the PApankusha EkAdasii becomes free of all his sins and returns to the spiritual abode of Lord Sri Hari. Whosoever donates gold, sesame seeds, fertile land, cows, grain, drinking water, an umbrella, or a pair of shoes on this most auspicious of Holy days will never have to visit the abode of Yamaraj, who always punishes the sinners. But if a resident of earth fails to perform spiritual deeds, especially the observance of a fast on days such as EkAdasii, his breathing is said to be no better, or of as much use as the breathing/puffing of a blacksmith's bellows. "O best of the kings, especially on this Papankusha Ekadasii, even the poor should first bathe and then give some charity according to their means, and perform other auspicious activities in accordance with their ability. Lord Sri Krishna then concluded, "Thus, Oh saintly Yudhishthira, I have narrated to you the glories of the auspicious Papankusha Ekadasi." Papakusha is the name of the Goddess that arose from Lord Vishnu to defeat Demon Mura. Happy with her divine act, Lord Vishnu blessed her that anyone who observes Ekadasi fast will be freed of their sins and will attain Moksha. Some people only take a single meal on the Dasami day, the day before Ekadasi. Perform a simple puja to Lord Vishnu at home by lighting a lamp and offering fruits and Tulsi leaves. Pray or meditate for few minutes. Complete fast or Upavas on the day is the main observance. Fasting is for 24 hours. It is believed that a partial or total abstinence from food on Ekadasi is rewarded with bliss. Strictly avoid eating rice and grains, honey, meat and eating on a bell metal plate. Do not apply oil on the day. Those taking partial fast can consume fruits and milk.